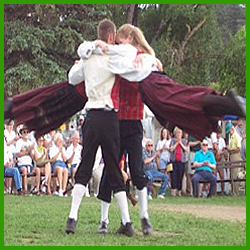 The Scandinavian Midsummer Festival takes place in Bond Park in wonderful Estes Park Colorado in June. This festive occasion is the largest midsummer festival event in Colorado and it celebrates with great song, dance, music, booths, and food. Attendees of all ages are very welcome to this interesting cultural event – admission is free and the entire family will find something fun and festive to help celebrate. Tags: Danish Festival Estes Park, Estes Park Colorado Celebrations, Estes Park Events, Estes Park Family Activities, Estes Park Family Events, Estes Park Scandinavian Festival, Festivities in Estes Park, Great Family Events in Estes Park, Midsummer Estes Park, Scandinavian Festival Estes Park, Swedish Festival Estes Park, Things to do in Estes Park, What to do in Estes Park CO?, When is the Midsummer Festival in Estes Park?